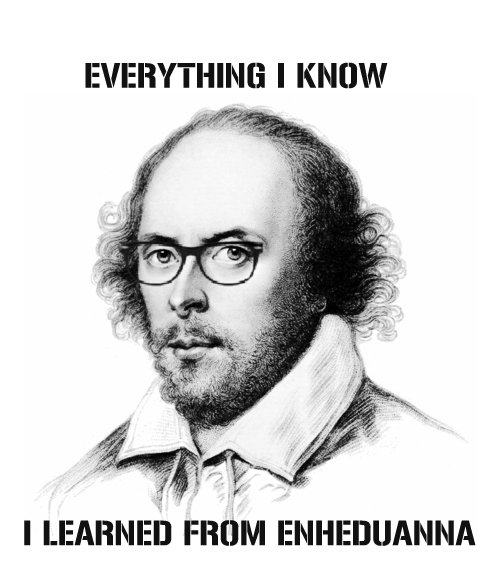 My take on the Shakespeareisahipster meme. So, dear readers, when we last left Enheduanna, we had learned all about her life and times and were about to embark upon an examination of her literary output–a corpus of hymns to various temples and deities that was so sophisticated and psychologically nuanced compared to other writings of the time that the eminent Assyriologist William Hallo referred to her as “The Sumerian Shakespeare.” But given that she preceded Shakespeare by about, oh, 3800 years, it might be more apt to dub the bard “The English Enheduanna.” In any case, don’t just take Hallo’s word for it–read on for why you, too, should care about her work. Enheduanna’s literary output is divided into two main bodies of work: her temple hymns, which were addressed not to individual deities, but to the temples themselves, and her hymns to Inanna, who appears to have been Enheduanna’s favorite goddess. (1) To do justice to Enheduanna’s theology and literary style you’d need to read the poems themselves (we wouldn’t be satisfied with an online synopsis of Shakespeare, would we?). But I’ll try to summarize briefly here the main points as they’re relevant to our work as Waldorf teachers. First, you should know what the experts (that is to say, Assyriologists) say. They usually relate her poetry to the larger political events of her time, seeing the hymns as a unified body of work that forms part of a political campaign. Each temple hymn, for example, is dedicated to “lugal-mu” (“my king”), and as a whole, the hymns take pains to link the religious centers of Akkad with those of Sumer. (2) In this view, Enheduanna appears as a PR agent of sorts for her father, King Sargon, helping smooth relationships between the two peoples he was attempting to rule. She certainly seems to have been smart enough to be in charge of such a campaign. However, personally, I think that whatever her political motivation, the hymns themselves are so lyrical that we have to take them seriously as religious and literary endeavors, not just cagey political moves. And more to the point, it seems significant that Enheduanna emerges as the first author in history at this point in time. After all, if the hymns were more or less just propaganda, she could have written them anonymously. So why put her name to them? What’s going on? For us Waldorf teachers, Enheduanna’s self-reflection is particularly interesting because she emerges as the first authorial persona in human history in exactly the era Steiner pinpointed as the beginning of human awareness of our inner emotional life. (4) This period, which he called “Egypto-Chaldean,” spanned roughly 2900-750 BCE. Much later during this era we see other individual authors emerge: Shin-eqi-unninni (author of the Epic of Gilgamesh, who is supposed to have lived sometime around 1600 BCE, a full 700 years after Enheduanna), Hesiod, Homer, Sappho, etc. (5) But Enheduanna was the first, and judging from her hymns, she knew it. 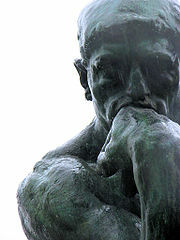 Apparently, Rodin’s “Thinker” should have been female. In addition to being the first person to identify herself as an author, Enheduanna was also (as far as we can tell) the first person to write about her own inner emotional state. As Steiner notes, cultures prior to the Egypto-Chaldean period did not distinguish so clearly between inner and outer, human and divine, emotional life and bodily experience. And in order to examine one’s inner life, one first has to distinguish between the world “out there” and the world “in here.” As a result, there is very little evidence that earlier cultures engaged in what we might call “navel-gazing”–the propensity to think about and reflect on our own inner thoughts and feelings. What is new during the Egypto-Chaldean period, then, is the growing awareness that human emotional life constitutes a separate realm that is ripe for exploration. 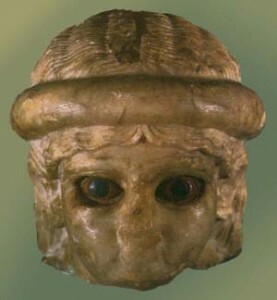 Once again, Enheduanna represents a pivotal moment in this unfolding of human consciousness. What an image. Can’t you just see the victorious Lugalanne standing in the sacked temple, holding Enheduanna’s chin in his hand, brandishing the ritual dagger before her, and leering sarcastically, “it becomes you”? Ugh. Even 4300 years later, it gives me chills. But here’s another thing that gives me chills: Enheduanna’s heartfelt, almost diary-like poetry about the events of her life and her internal state–it’s all so very new. It’s amazing to think about, because writing like this is so familiar to us now, even to the point of being banal. To say that “light turns leaden” and “shadows close in” as a way of describing your own depression is no big deal these days. But when Enheduanna was writing, no one else in the history of humankind had ever before thought to put his or her personal experiences and inner emotional turmoil on paper (or clay, as the case may be). Truly astonishing. Finally, as if inventing authorship and navel-gazing weren’t enough, Enheduanna’s writings show us a shift in the very nature of religious experience itself. Steiner charted this movement from earlier eras, in which humans experienced the divine directly, as coterminous with the world (the world essentially was the divine), to Enheduanna’s time (the Egypto-Chaldean period), when humans began to experience the divine as “other,” or as subtly set apart from the human realm. To use some fancy theological terms, we can see this as an evolution from an earlier pantheism (God is everything) into a later panentheism (God is in everything), the latter of which subtly supposes that God has the option of not being in everything, or that God somehow exceeds and/or transcends everything that we see around us. In brief, the poem describes an epic confrontation between Inanna and a defiant mountain named Ebih that refuses to “praise [Inanna’s] way.” When Inanna appeals to her father An, the head of the gods, he hems and haws, musing that he finds the mountain’s pastoral charms quite lovely. Ultimately, An refuses to back Inanna in the dispute, referring to her (rather patronizingly, if endearingly) as “my Little One.” At that point Inanna goes ballistic, destroying the mountain in a fit of fury that de Shong Meador translates as “bedlam unleashed.” I won’t reproduce the full passage here, but just in case you ever feel like messing with Inanna, you might want to consider that her vengeance involved hurricane winds, arrows, choking dust, pelting stones, parching drought, poisoned trees, and flames. Enheduanna (and Inanna) were having none of this newfangled, namby-pamby lion and lamb stuff. Historically speaking, it’s unclear whether Ebih can be identified with an actual mountain, whether there was perhaps a rival temple or king on said mountain, and if so, if the destruction of the mountain/temple was an actual event (an earthquake, maybe?). (8) What’s interesting for our purposes is that the rebellious mountain is depicted as a bucolic, even paradisiacal place where lions and sheep roam together, much as in the Biblical book of Isaiah. Sounds rather nice to modern ears. But for Enheduanna, the clearly unnatural peacefulness of the mountain marks it out as opposed to Inanna’s way. Nature, like Inanna, encompasses both good and bad, light and dark, birth and death. 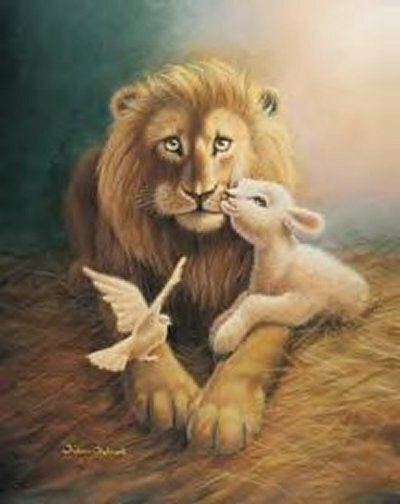 A holy mountain where lions lie down with lambs is an aberration (an insult, even!) 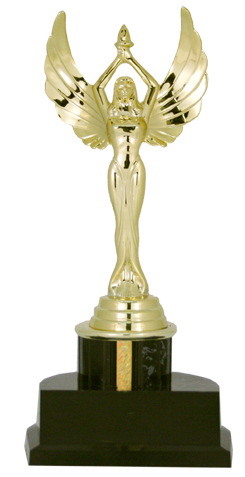 to Inanna. Eternal abundance and peace be damned! Inanna annihilates it, much to Enheduanna’s obvious delight. Of course, with the hindsight of 4300 years, we can see that the Lady doth protest too much–transcendent gods were the wave of the future, even if Inanna (in the form of her alter egos Ishtar and Cybele) did hang around for another two thousand years or so. Oh, irony of ironies! Precisely the type of introspective self-awareness that led Enheduanna to compose the first authored poem in history, to navel-gaze like the best psychoanalytic patient, to fume about the replacement of Inanna by newer gods–these same capacities were slowly leading human beings further and further away from the religious experiences that had characterized earlier periods of human development, and which Enheduanna held so dear in her beloved Inanna. And that, my friends, is why we should all teach Enheduanna to our students every chance we get. (1) There is some question about whether all 42 of the temple hymns we have really were authored by Enheduanna herself. Apparently, her fame as a poet caused other, later writers to use her name (a frequent practice in antiquity). However, most scholars agree based on stylistic analysis that the vast majority, if not all of them, are hers. (2) William W. Hallo & J.J.A. van Dijk. The Exaltation of Inanna. New Haven: Yale University Press, 1968. (4) It’s almost certain that Steiner didn’t know of Enheduanna’s writings, since Leonard Woolley, the archeologist who first rediscovered her work, did not even begin excavating in Ur until 1922. I have been unable to pinpoint the date that he revealed the disk of Enheduanna to the world, but it appears that his earliest publications (for the Trustees of the British and University of Pennsylvania museums) were in the late 20s and early 30s, after Steiner’s death. It’s even more amazing, then, that Enheduanna’s work fits so nicely with the Egypto-Chaldean period as outlined by Steiner, given that the earliest literature Steiner would have had access to was the Gilgamesh epic, which post-dates Enheduanna by about 700 years. (5) The first named Chinese authors (many of whom are quasi-historical) appear in the 8th c. BCE; Indian Vedic texts (the earliest of which are believed to have been compiled c. 1500 BCE) were not ascribed to individuals, and the earliest pre-Vedic Indic writing (from the Harappan civilization, which flourished in Enheduanna’s time) has not been deciphered. (6) Betty de Shong Meador, Inanna, Lady of Largest Heart: Poems of the High Priestess Enheduanna. Austin: University of Texas Press, 2000. pp. 174-175. (7) I can’t recommend de Shong Meador’s book on Enheduanna highly enough. It is erudite, well-written, and most importantly, really tries to grapple with the spiritual and historical significance of Enheduanna’s work. To be sure, there are moments when she lays on the Jungian analysis a little thick, but as a readable, deep interpretation of Enheduanna (and Inanna, for that matter), it can’t be beat. (8) William Hallo suggests that Ebih can be identified with the mountain currently known as Jebel Hamrin in Iraq. 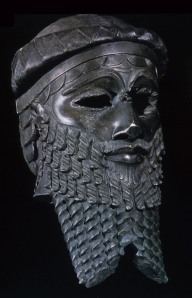 And he reads the poems not as symptomatic of shifts in human consciousness, but as celebrations of Sargon’s triumphs over the various regions he conquered. William W. Hallo. 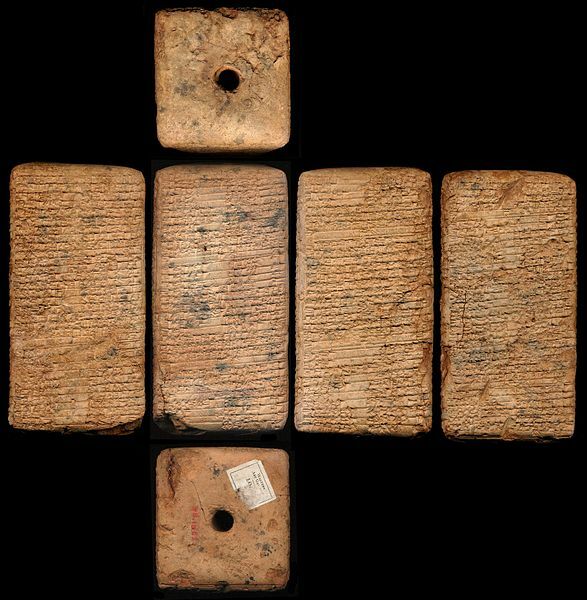 The World’s Oldest Literature: Studies in Sumerian Belles Lettres. Brill, 2010. For the google book reference, click here. Her particular importance to Waldorf teachers: As the first author to emerge from history as a discrete personality, Enheduanna perfectly exemplifies the transformation in human consciousness that Steiner described as taking place during what he called the Egypto-Chaldean period (roughly 2900-750 BCE). Plus, she’s a fantastic poet. If you are going to read only one book about her, read: Inanna, Lady of Largest Heart: Poems of the Sumerian High Priestess Enheduanna by Betty de Shong Meador. (Austin: Univeristy of Texas Press, 2000.) de Shong Meador’s translations are poetic and faithful, and as a Jungian analyst, she’s interested in the spiritual dimension of Enheduanna’s life and writings, as well as the academic points of interest. 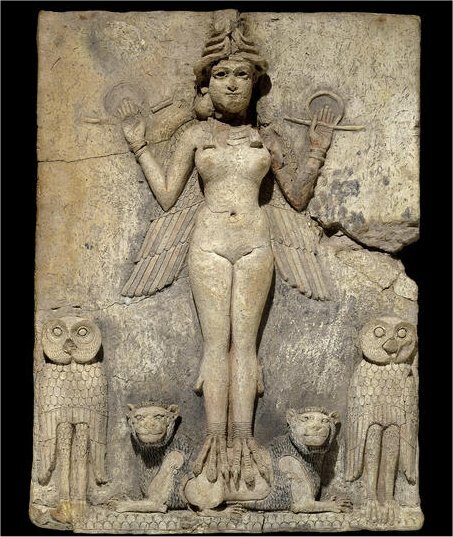 You can also access some of Enheduanna’s Temple Hymns online here and here, and some of her Inanna poetry here. Given how foggy we are about even kings’ personalities back in Enheduanna’s day (which, as best we can estimate, was about 2300 BCE), it’s actually quite amazing that we know as much as we do about her. This is thanks, in large part, to her own writings, of which we have about 4500 lines of poetry. 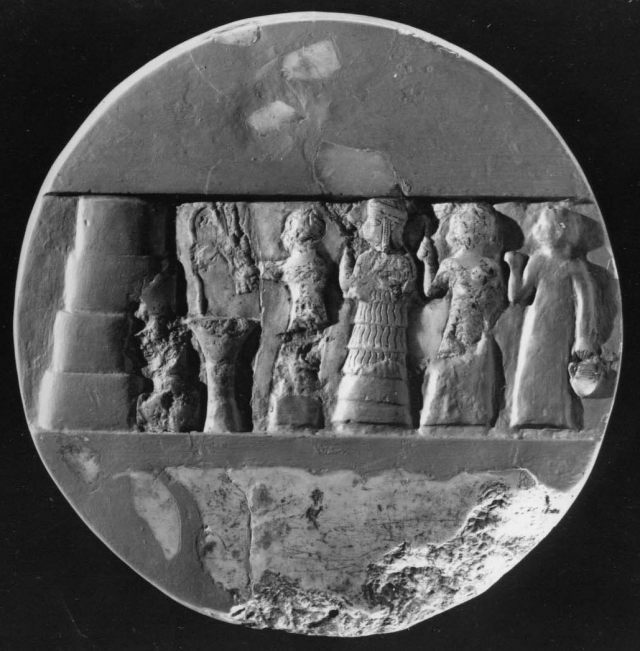 Other evidence comes from seals found with her name on them, a stone disk carved with her image, and copies of her writings, which apparently entered the canon of Old Babylonian scribal schools as exempla of excellent literary style. So, here’s what we know about her life: Enheduanna was the daughter of the Akkadian king Sargon, who conqured a number of Sumerian city-states in the late 23rd-early 22nd centuries BCE. The Akkadians and Sumerians were both native to the Mesopotamian valley and maintained a very close cultural interchange, including worshipping similar gods, but the two communities were linguistically distinct. Sargon’s empire united the two peoples in a not-always-tension-free rule. When Enheduanna’s two brothers each, in turn, inherited the throne, revolts followed. Her nephew, Naram-Sin, eventually succeeded them and unified the area once more. Enheduanna was still High Priestess when Naram-Sin was in power, so she outlived her father and two brothers (she had at least two other siblings, but we don’t know much about them). There is some scholarly debate over whether Enheduanna was really Sargon’s biological daughter, or if “daughter of Sargon” was simply a term used to denote her status as High Priestess under his protection. Most scholars agree, however, that she probably was Sargon’s offspring, since appointing one of his own children High Priestess over the southern, formerly Sumerian-controlled city of Ur would have made a great deal of political sense. But though she may have been given her post because of her birth, she rocked it totally on her own merits. She was one tough, smart, literate woman. With the exception of a period of exile in which she was forcibly removed from her temple (more on that in the next post), Enheduanna seems to have spent most of her adult life in the famous temple complex of Ur, which included the “House of Light”–the ziggurat of which partial (rebuilt) remains can still be seen today. 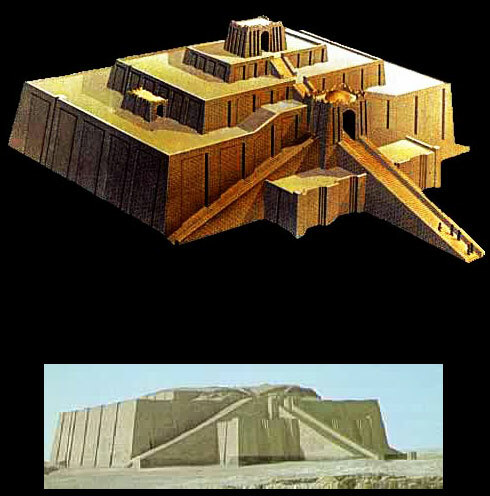 Sumerian temples were, in addition to being religious centers, the centers of economic and social life as well. Indeed, archeological and textual evidence has shown that the earliest cities most likely arose as a crystallization of homes and structures around the central temple complex, which served as granary storehouse, food distribution site, and generally the center of marketplace and bureaucratic activity. By Enheduanna’s time, this role was coming under increasing fire, as non-priestly bigwigs such as her father Sargon jostled for control with the priests and priestesses in charge. This would come to a head with Enheduanna’s nephew Naram-Sin, who declared himself “God of Akkad” and thereby assumed control of the temples as well as the political hierarchy. All of which is a long way of saying that Enheduanna was a big deal. In addition to her cult and scientific responsibilities, she also had a considerable agricultural enterprise to oversee. Her title “en-priestess” referred to her capacity to oversee the fecundity of the land, and she ruled over a veritable army of farmers, fishermen, shepherds, and other livestock managers. The incredible bounty produced by so large an enterprise made temples extremely wealthy, so much so that they also played the role of banks, making substantial loans to individuals and kings. And in addition to her managerial responsibilities at home, she would have had to have maintained relations with other temples in the Mesopotamian valley as a sort of roving “goodwill ambassador” of Nanna (and possibly her father, Sargon). Still another of her duties was to act as a conduit and interpreter of dream messages from the gods. 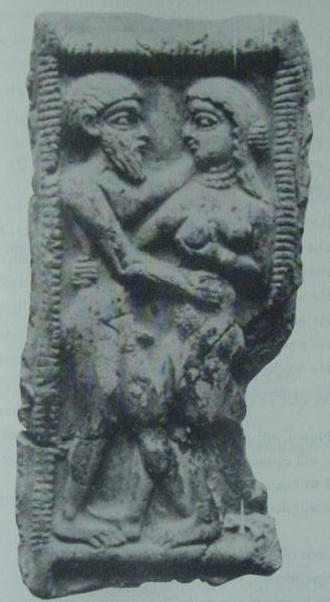 During a period of her life when she was temporarily exiled from her temple (and replaced by a man), Enheduanna lamented, “I cannot stretch my hands/from the pure sacred bed/I cannot unravel/Ningal’s gifts of dreams/to anyone.” (Ningal being the wife of Nanna, the moon god.) It’s unclear whether her dream duties included the interpretation of other people’s dreams. However, with the discovery of a ceremonial bed platform within Ningal’s part of the temple complex, it seems probable that Enheduanna’s duties would have included some form of sacred sleep after which she would interpret her own dreams as signs from the gods. (1) This translation is from Betty de Shong Meador’s book Inanna, Lady of Largest Heart: Poems of the High Priestess Enheduanna. (Austin: University of Texas Press, 2000) p. 72. In general, de Shong Meador’s book is an excellent overview of Enheduanna (and Inanna). I’ve used her as a source for much of the information presented here. A source that gives a helpful account of Mesopotamian political history is Susan Wise Bauer’s The History of the Ancient World (New York: W.W. Norton, 2007). I recommend it with a caveat: although it is extremely helpful in setting out timelines, maps, and other basic information, it is a very narrowly political historical narrative, and needs to be supplemented by social and economic history. In over 700 pages of text, Enheduanna doesn’t even get a single mention! (2) de Shong Meador, p 59. Fabulous Renaissance Lesbians, Part Two. Or, the Notorious CdE. I'm a Waldorf High School Humanities teacher-in-training with an academic background in Ancient History, Religion, and Anthropology. I started this blog when I saw a need for a "one-stop shopping" site for Waldorf teachers and others to find out more about the fascinating women who can (and most definitely should!) make an appearance in our high school curricula. I hope you find it helpful!